Network traffic routing plays key role in your network, if you have single site with heavy browsing or multiple sites, replicating important application data from your Primary Default Gateway ,you have to route your other network traffic from your primary gateway to secondary gateway. This article will step through configuring static routes in your SonicWALL Network Appliance to route HTTP / HTTPS or any specific traffic to Secondary Default Gateway. 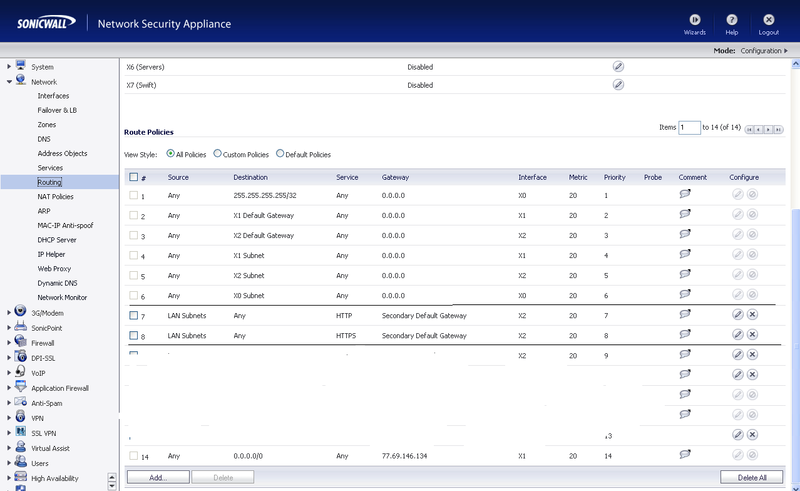 This article applies all SonicWALL Network Appliance supporting Sonicwall Enhance OS. This article assumes that you have Two (2) ISP, and both connected to your Sonicwall Appliance via ISP Modem/Router. NOTE: It is assumed that both WAN connection are configured and active. 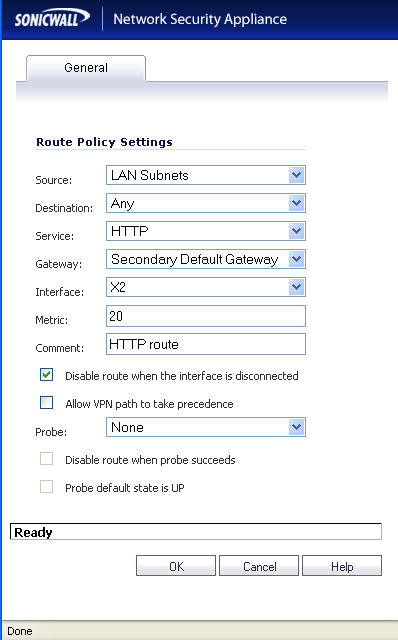 (Optional) Select the Disable route when the interface is disconnected checkbox to have the route automatically disabled when the interface is disconnected. i Recomend to CHECK this BOX. (Optional) The Allow VPN path to take precedence.I Recomend to leave this box UN-CHECKED. You can create as many rules as you want, if you have two or three ISP i would strongly suggest you to route trraffic on Multiple ISP. 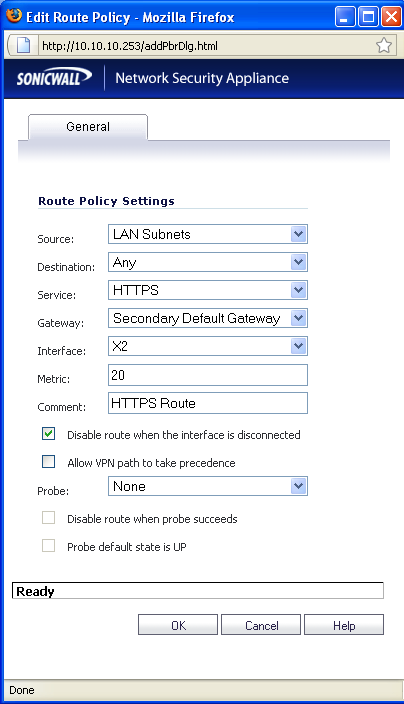 Custom routes can also be created for IT staff Downloading or Uploading Data.